David Mathews is president and chief executive officer of the Kettering Foundation. Charles F. Kettering, best known for inventing the automobile self-starter, created the foundation in 1927. Gradually, the foundation expanded its focus to look beyond scientific solutions, recognizing that problems like world hunger are not technical problems, but rather political problems. In the 1970s, the foundation began to concentrate on democratic politics, particularly the role of citizens. 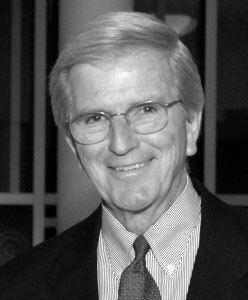 Mathews was elected to the Kettering Foundation board of trustees in 1972, and in 1981, he became its president and CEO. From 1965 to 1980, Mathews taught history at the University of Alabama, where he also served as president from 1969 to 1980, an era of significant change and innovation, including the integration of the institution. At age 33, Mathews was the youngest president of a major university. Mathews received his A.B. degree in history and classical Greek, graduating Phi Beta Kappa from the University of Alabama, and later received his Ph.D. in history from Columbia University. Mathews grew up in Grove Hill, Alabama, where he has deep roots. He maintains a family home there and is active in the Clarke County Historical Society and other civic projects. Mathews has served on the boards of a variety of organizations, currently including the Gerald R. Ford Foundation; National Issues Forums Institute; The Center for Citizenship, Community, and Democracy; Southern Institute on Children and Families; and Public Agenda. He has received numerous awards, including a citation as one of the Ten Outstanding Young Men in the Nation, United States Jaycees (1969); member, Alabama Academy of Honor (1973); Nicholas Murray Butler Medal in Silver, Columbia University (1976); Educator of the Year, Alabama Conference of Black Mayors (1977); and the Brotherhood Award, National Conference of Christians and Jews (1979). He was inducted into the University of Alabama College of Communication and Information Sciences Hall of Fame in 2004 and into the Alabama Healthcare Hall of Fame in 2006. In 2007, the Alabama Center for Civic Life was renamed in his honor as the David Mathews Center for Civic Life. He is the recipient of 16 honorary degrees. Mathews has written extensively on such subjects as education, political theory, southern history, public policy, and international problem solving. His books include Why Public Schools? Whose Public Schools? (NewSouth Books, 2003); For Communities to Work (Kettering Foundation, 2002); Politics for People: Finding a Responsible Public Voice (University of Illinois Press, 1999); Is There a Public for Public Schools? (1996); and Reclaiming Public Education by Reclaiming Our Democracy (Kettering Foundation Press, 2006). His most recent book, The Ecology of Democracy: Finding Ways to Have a Stronger Hand in Shaping Our Future (Kettering Foundation Press, 2014), focuses on how the work of democracy might be done to put more control in the hands of citizens and help restore the legitimacy of our institutions. Organizations in other countries have translated these books into 15 languages. Mathews is an avid gardener. He is happily married to his childhood sweetheart, Mary Chapman Mathews. They have two daughters and six grandchildren.